Knowing that you’re supposed to save up and not being able to is one of the most frustrating things in the world. But what can you do? You have to pay your bills. You have social obligations that all cost money. You need a presentable wardrobe for work. You’ve been doing every single solitary thing that you can think of to save money and the urge to say “to heck with it” and just not pay your bills and hope for the best is growing. We’ve all been there. That’s why this site was created, to help people who feel exactly this way. So! Without further ado, here are ways to make room in your budget to not just pay down your debts (and get rid of them quicker) but to save money and have fun without feeling guilty. Your minimum amount due + Your monthly interest charge +10% =your new “minimum” payment. This cancels out the interest that is tacked on to your account every month and allows you to actually pay down your balance at a reasonable rate. For utility bills that fluctuate, your budget line item should be whatever the most expensive month’s charge was + 10%. Add 10% onto: rent, monthly subscription fees and anything else you include in your budget: food, dinners out, clothes, personal care, etc. Include a line item for your savings that is 15% of your monthly income. This is the minimum amount you must bring in. Don’t panic. 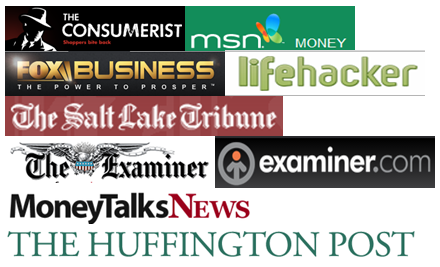 This site has lots of tips for earning more money if you aren’t already bringing that much in. Make all of your monthly payments at least a week early so that you don’t accidentally incur late charges. Use the bill pay feature offered by your bank if you have a hard time remembering to sit down and make the payments. You will notice that you very likely have money left over because, say, your power bill was the lowest it has ever been or you didn’t eat out as often as you’d thought. This is not free money for fun spending! This extra dough is something we’re counting on. Here is what you do with it. 50% goes into your savings account, before you even get your hands on that money, set it aside. Add up what you’ve got left. Distribute that amount evenly across all of your credit cards and loans (the ones that won’t penalize you for paying more than your stated monthly payment anyway). After six months of this, you’ll notice both some pretty awesome savings have built up, that your debts are substantially smaller than they were and that you can still afford the things you need. As you pay off debts, take that bill’s monthly payment and split it in half. 50% of what you’d have paid should get put into savings. The other half gets spread evenly across your remaining debts. Start actively working on your credit score. If you’ve got lots of debt, your score and history are likely pretty messy. You can easily get your credit scores and sort out those details yourself but if you’ve been good for six months, there’s no reason you can’t spring for a professional credit repair (do check the reviews before you decide). Professional repair services help you sort out your history, get old accounts removed and make sure that your report is mistake free. You can use this improved credit report to negotiate lower interest rates on your debts (which helps you pay down your remaining debts even faster), qualify for the mortgage you’ve been working toward forever or, really whatever you want. 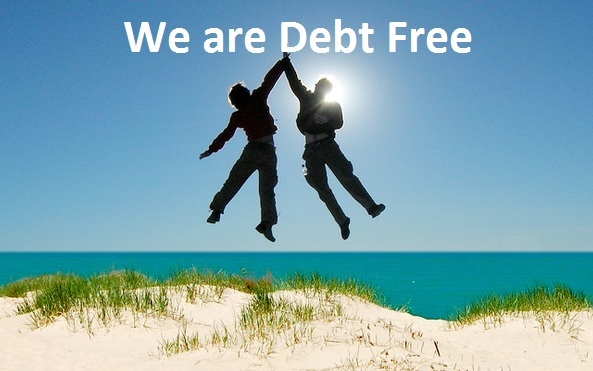 The trick is to keep using this method even if you find yourself debt free. When things are going well it’s easy to find ways to justify slacking off. Don’t do it! Build on your momentum to create an incredibly healthy financial life! « Bank Debit Cards vs. Credit Cards: Does It Matter? This is a great idea to build up savings and knock down debt quickly. Plus, it is easy to follow which is what many people need. For paying bills on time, I make it a point to set up the bill payment online the day I get the bill. That way it never gets lost in a pile of other things or accidentally gets shredded.